Let’s Talk About: When does a game truly die? Or Games that need to inspire. We’re well within the lifetime of the Eighth generation of consoles. That means seven generations of game consoles have come and gone. Libraries of games within each generation and only a handful of them are ever talked about, reminisced on, and dissected with scrutiny. Thousands of games long forgotten with just as much potential as the game next to it when they sat on the store shelves, but rarely purchased and less likely to be remembered once the next gaming generation has spawned a fresh slate of shelf-space to remember. But do these games ever really die? The mortality of a game and its ideas is one thing, but its legacy is something to not be taken likely. Passing on the seeds of what a game has explored to future generations. Two limbos of purgatory that an idea sits in when its progeny have stop being created. The first when your idea is a reminder, a warning story, of what to do and what not to do when creating a new idea. The warning stories of having too many ideas and constantly redesigning for new technology: Duke Nukem Forever. The problems of being constrained by your publisher and the owners of the source material that you’re referencing, inhibiting any ingenuity and fresh ideas so the game remains game brand friendly: Superman 64. The loss of game development ideals to focus on short-term profits in arguable more profitable markets: Castlevania, Silent Hill and Konami. That’s not to say that you can’t relive the games as they were, but as time separates the current console generation from the previous ones, there is less of an impulse to revisit the games from the distant past and revisit some for the near past. The ones in recent memory become easier to recall and only those games and their backstories that are relevant to recent topics become the go-to stories, forgetting more and more of the games that seem less relevant until they are forgotten except for places like Metacritic, Let’s Plays and rage-reviews ala AVGN or JonTron. The second is when an idea is no longer referred to directly, but through the ideas that they’ve inspired and methodologies instilled in subsequent generations. Until recently, you could talk about games like Doom in this light. Never referring to Doom directly, but knowing the implicit background that when talking about any First-Person Shooter since 1993 they still employs many mechanics that Doom explored and as games became inspired by Doom building more mechanics, better game design, more fluid controls, these were all built on top of the foundation that Doom, Wolfenstein 3D, Unreal and games of the like developed back in the early 1990s. Doom and Wolfenstein 3D will never truly be dead because of how integral these games are to the roots of First-Person Shooters. The problem with this is that Doom finally got a new sequel announced by Bethesda and has had on-and-off sequels for the past few console generations, so it will be fresh in our mind most of the time. Same with Unreal Tournament rumored to be in pre-alpha. Contra (1987 – 2011), on the otherhand, hasn’t had a game in 4 years and not likely to happen soon (Thanks Konami). But it arguably launched the run-and-gun genre, though I wouldn’t say it would’ve been the first. But it was one to play with perspective changes for run-and-gun that did set it apart and made it the gold standard for games in the genre. Side-scrolling, to over-the-shoulder, to top-down. 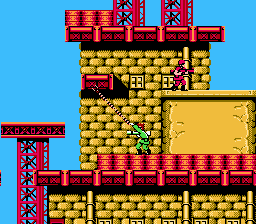 Bionic Commando (1987 – 2011) and its limited edition kung-fu robotic grip launcher. 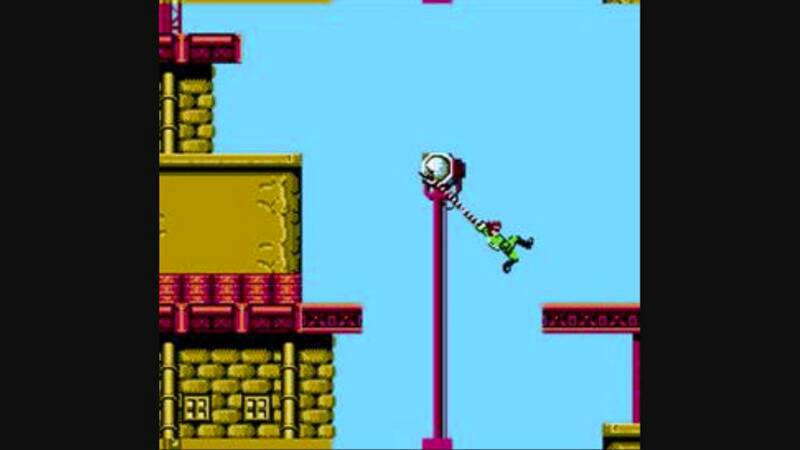 Inspiring games like Earthworm Jim, Tomb Raider and Legend of Zelda, to mention a few. Even games that have no direct lineage of inspiration, no legacy of methodology and mechanics still live on as guidance of methodologies that didn’t work and mechanics that were ill-conceived. Games like Fester’s Quest (NES-1990) and Dr. Jekyll and Mr. Hyde (NES-1989) teaching of the importance of knowing what the player needs to do in the game and delivering usable feedback to come to that understanding. Games like Power Ranger: The Movie (SNES) and Batman Forever (SNES) to teach you that just because you have the source material that can lend itself to having a great game doesn’t mean that you can skimp on the design of that game, even if it’s a beat ‘em up since Teenage Mutant Ninja Turtles was able to pull it off well on many occasions. Games like Bomberman (NES-Xbox), Perfect Dark (N64-Xbox) and Banjo Kazooie (N64-X360) being an implicit example to never neglect what made your intellectual property great in the first place because producing games that are in contrast to those ideals can harm it forever. But not all games end up with a legacy of purgatory. The games that have no influence, the ones that don’t share any new ideas to the next generation, are the ones that spawn no new legacy, have no lineage of design and paradigm to trace back. These are the games that are dead without a doubt. Dead to the gaming community, to the gaming culture. A game not just with heart-death where they have no influence of the world around them but only the work within them. A game not just with brain-death where they have no influence on their own work or the work around them but merely exist on the shelves of games with have more potential to inspire the next generation. A game that is forgotten, a game that has no influence, no means of remembrance. This is the last death that a game can have, an idea can have, a person can have. The most permanent of deaths.